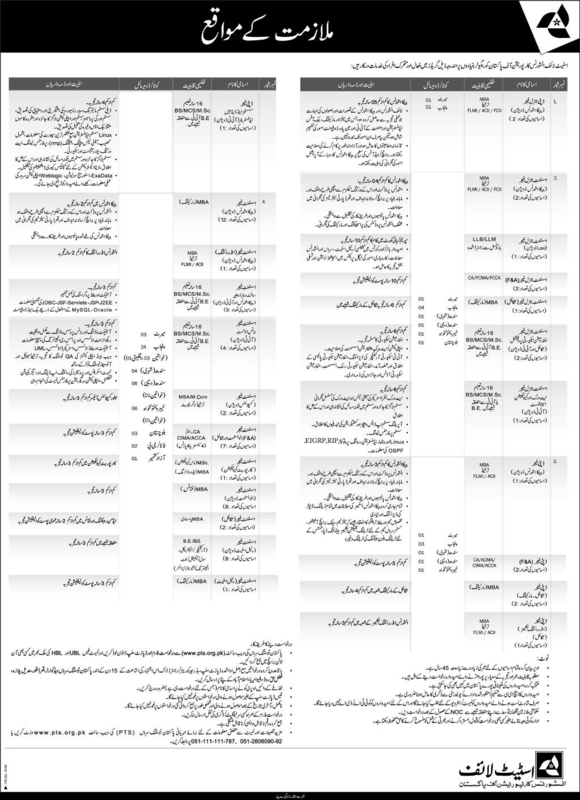 Jobs Description: State Life Insurance Corporation of Pakistan Jobs 2019 are listed below in our site. The Government of Pakistan recently announced an advertisement for Jobs in State Life Insurance Corporation of Pakistan. Vacancies: Vacancies are given below in the advertisement. How To Apply: Application form is available on the PTS (Pakistan Testing Services) website. The interested candidates may send their applications to the PTS Headquarters, Islamabad.